The Día de los Muertos (Day of the Dead) celebrations are a way to remember the dead, whether at the cemetery or at a temporary altar built with photos and items to remember them by. Another way I've seen is with a memorial plaque, "this bench in memory of..." kind of thing. While doing a test walk for the upcoming Oakland Urban Paths walk (November 10th, 10am), I came across something I hadn't seen before. It basically looks like a grave marker, but it's in one of the many public stairways and pathways around Oakland. "The Great Fire of 1991" refers to the 1991 Oakland/Berkeley hills firestorm that destroyed the entire neighborhood (as well as several others), so the imagery of a phoenix rising from the ashes is fitting. I haven't had time to find out anything about Ruth besides what's on this marker. 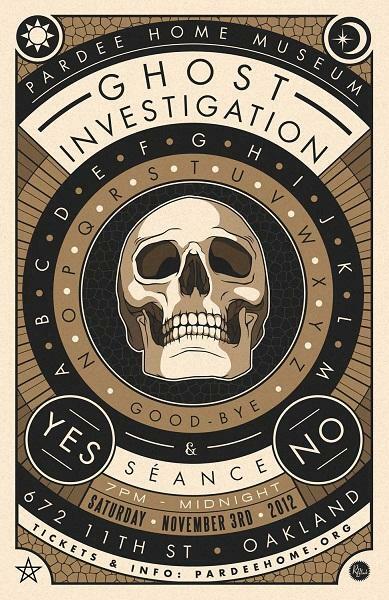 Do any of my Oakland readers know? For more taphophile posts from around the world, check out the Taphophile Tragics site. 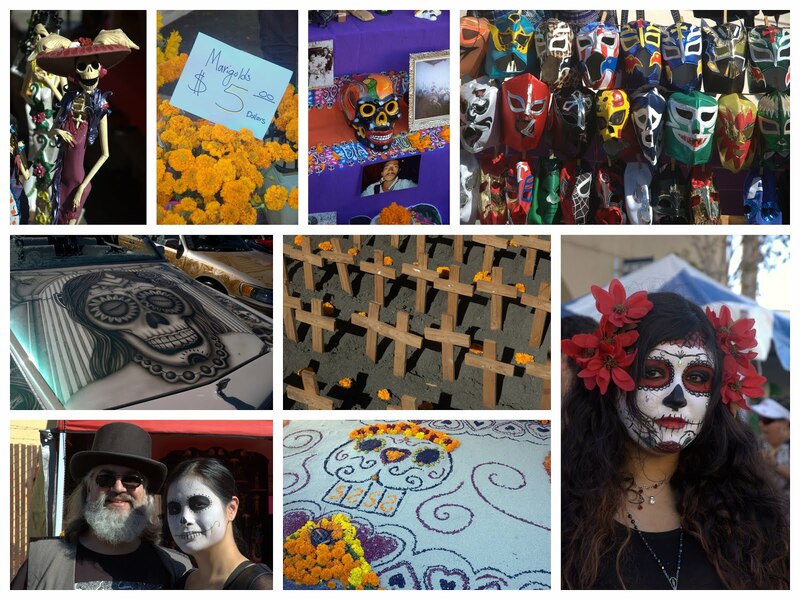 Sunday was the annual Día de los Muertos festival in the Fruitvale. It was a warm, sunny day, and thousands of people showed up to eat, have fun, and also remember the dead. There were a wide variety of vendors, with many of them focused on traditional items like marigolds, face painting, skeleton figurines, and candy skulls. There were also at least three stages with performers, and people dancing to the music at a couple of them. And of course, one of the most interesting parts, the Día de los Muertos altars built to remember those who have passed. 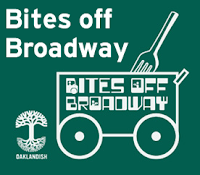 It's a big, busy event, but definitely worth attending to experience a very Oakland festival in person. 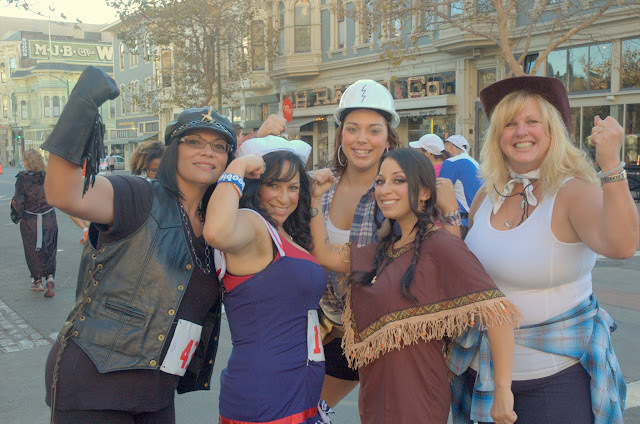 Saturday was the first ever HellaWeen Fun Run put on by the organizers of the Oakland Marathon. The 5 mile run started and finished in Old Oakland, and most of the runners were in costume. It looked like people had a lot of fun, before, during and after the run. Besides water stations, there was a beer stop at Linden Street Brewery. And after finishing, the runners and their fans were treated to a street party with live music. All in all, it was hella fun! 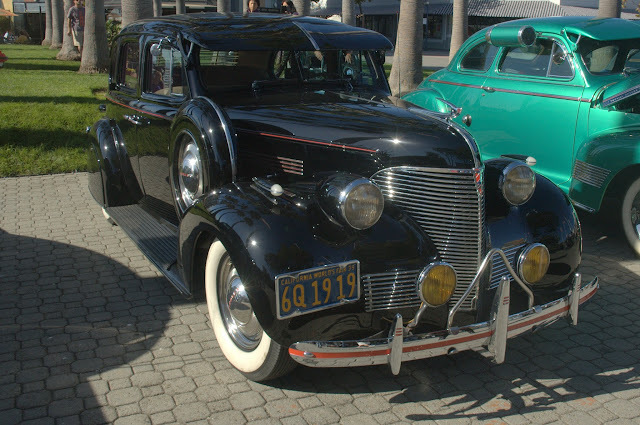 Last weekend was another fun event at Jack London Square, featuring classic cars from different decades. There was live music, with covers of tunes from the 60s and 70s, and food for sale, too. It was smaller than many of the events at JLS, but was the perfect activity for a sunny, leisurely afternoon by the water. 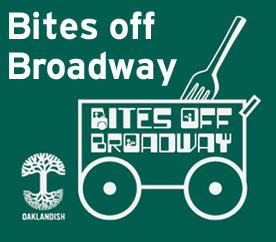 When asked what I write about on Our Oakland, I list a variety of things: food, history, art, maps, bicycling; "whatever catches my interest about Oakland." 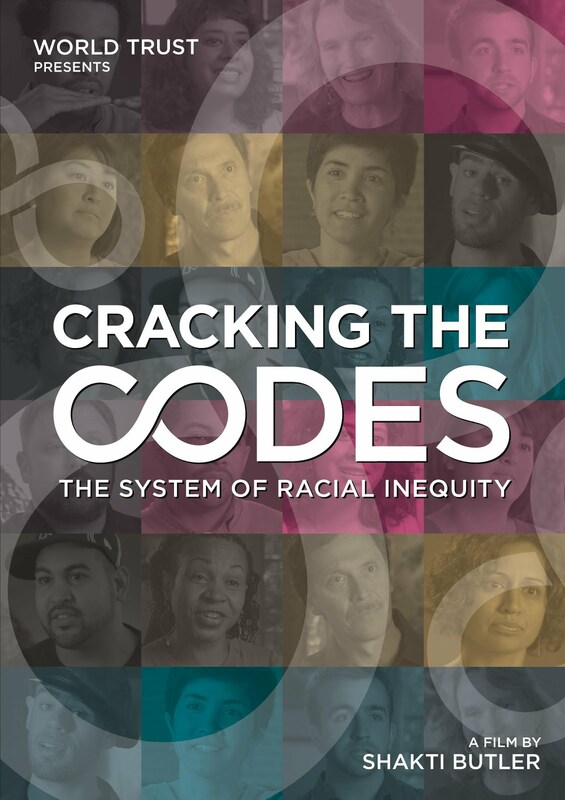 Rarely do I write about politics in Oakland, in part because they generally annoy me too much. But a number of people have asked me for recommendations lately, so I figured it was time to put them down in writing. 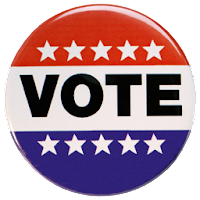 Agree or disagree, here are my recommendations for the upcoming election. If you're unsure which BART, AC Transit, or whatever district you're in, check out this web page from Alameda County, Districts Lookup. It will even tell you your flood control zone! Don't know your Oakland city council district? Check the Oakland City Council Districts map I made a couple of years ago. U.S. Representative - Barbara Lee - Barbara Lee is the only one in congress who voted against a blank check for Bush to invade Iraq. She's also the only major politician who's never disappointed me. 'nuf said. BART Board District 3 - Rebecca Saltzman - Rebecca Salztman is passionate about Oakland as well as transit, bicycling and pedestrians. She rides BART (& AC Transit) and knows the challenges facing BART. She's got a zillion endorsements from the Sierra Club to state senator Loni Hancock to much of the existing BART board, and for good reason. She's clearly the best candidate for the job. Oakland City Council at large - Rebecca Kaplan - Many people have wondered why Ignacio De La Fuente is giving up his sure-thing seat in District 5 to run for the at-large seat. The only reason that makes sense is so that he can have more influence over the council and get wider support in Oakland for an eventual mayoral run. Which would be OK if he was up front about it, but he's running by trying to downplay the contributions of Rebecca Kaplan. And if his linking to his campaign site from his city council page isn't illegal, it should be. See also this EBX article. And this list of 10 reasons not to vote of Ignacio De La Fuente. City Attorney - Barbara Parker - I was leaning towards supporting Barbara Parker because it seems like she's done a good job. Then the OPOA came out in support of Jane Brunner, and released some ads that lie about Parker's record. Then there's this gem about Brunner's plagarism. See the same EBX article. Measure A1 - NO on A1 - I love the Oakland Zoo (while being somewhat conflicted about zoos in general.) The zoo is pushing A1 as "for the animals" and say the money won't be used for a controversial expansion into Knowland Park. However, the measure has a loophole you could ride an elephant through that would allow them to, and my trust in them dropped further when it was discovered the zoo has broken several election laws during the campaign, and is spending nearly $1 million to try to pass the measure. Measure B1 - YES on B1 - It's always hard to vote for increased taxes during a down economy, but this is one I can support. There's currently a 1/2 cent sales tax in Alameda County that goes towards "transportation", which generally means roads and infrastructure for cars and transit. Measure B1 would extend the sales tax, increase it to 1 cent, but most importantly, specifies that 48% go to transit, 8% of the funds would go to bicycle and pedestrian projects, and 5% would go to sustainable land use and transportation projects. Proposition 30 - YES on 30 - The state economy is a mess, and one of the no-brainer ways to help fix it and get additional funding for education is by increasing taxes on the wealthy (people earning $250,000 or more a year). It's not perfect, but it's better than nothing. Proposition 32 - NO on 32 - It's a clear attempt by big corporations, PACs and their moneyed friends to try to limit the voice of unions, while they continue to spend lots on buying elections. Proposition 33 - NO on 33 - Another attempt by insurance companies to increase their profits. They're spending $16 million to try to get their way. Proposition 34 - YES on 34 - The death penalty doesn't work as a deterrent, is hella expensive to implement, and too many innocent people across the country have been wrongly executed. It's telling that most of the countries that still have the death penalty are ones like China, North Korea and Iran that we regularly ding for human rights violations. Even if you don't agree with the moral aspect of opposing the death penalty, the finances of it and its failure to work should be reasons enough. Proposition 36 - YES on 36 - "Three strikes" was a good idea, but went a little too far. 36 will dial it back a little, by making it so the 3rd strike has to be for a serious or violent crime. It will save the state money, reduce prison overcrowding, and provide fairer sentencing for lesser crimes. Proposition 37 - YES on 37 - This measure isn't perfect, but is a big step in the right direction. Genetically modified food hasn't been sufficiently tested to prove it's safe; some of the studies that have been done show unexpected side-effects. Consumers (that's all of us that eat food) deserve to know what's going into our food. I live in city council district #4, which isn't being contested this year, but it also means I haven't been following the races in districts 1, 3 and 5 as closely. If there's something I haven't listed, the race either doesn't apply to me or I haven't figured out how I'm going to vote on it. Or I forgot. Sunday was a community celebration of Día de los Muertos, Day of the Dead, at the Oakland Museum of California (OMCA). 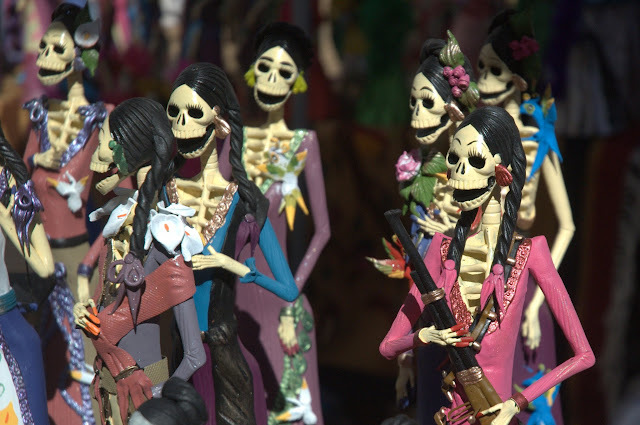 The Day of the Dead is a traditional Mexican celebration, focused on remembering friends and family who have died. It traces back to an Aztec festival dedicated to the goddess Mictecacihuatl, and has since spread across the world. In modern times, it frequently focuses on building memorials to remember the dead, featuring things the they liked, along with marigolds and sugar skulls. Sunday's celebration had music, dancing, memorials, food, face painting, and more. 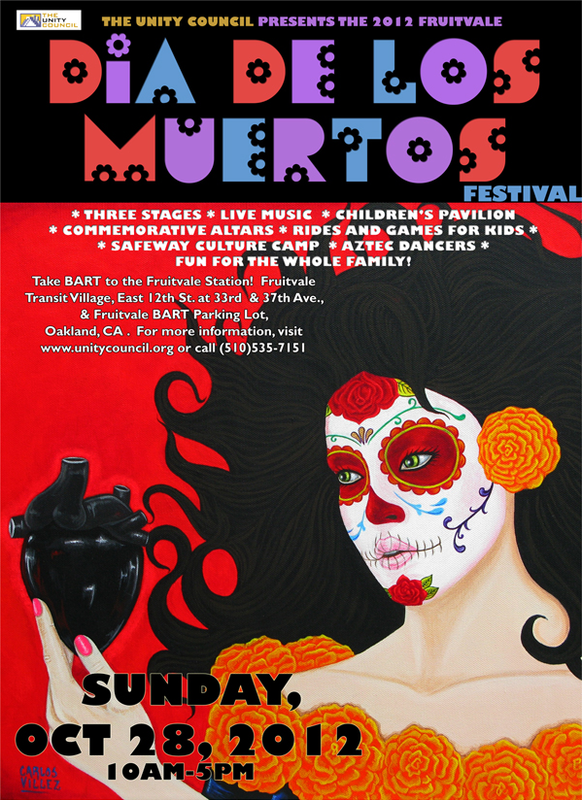 The really big celebration will be this coming Sunday, the 28th, in the Fruitvale. 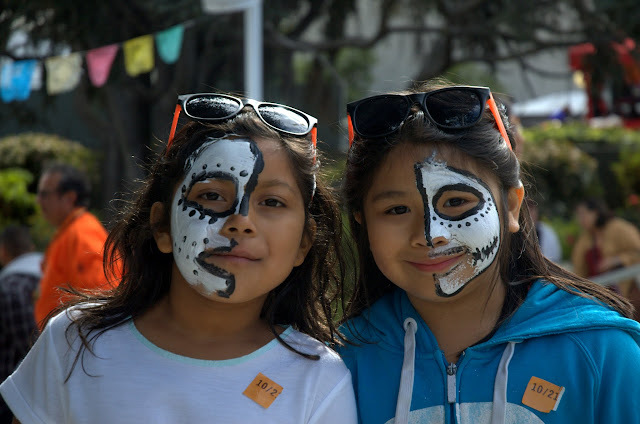 The big events coming up are around Day of the Dead, with the biggest of those being the Dia de los Muertos celebration in the Fruitvale, but there's the finale for OMCA Summer Nights, the Hellaween Fun Run, and more! Peralta Junction - Popup in West Oakland - weekends through December 15, with events Thursday through Sunday. The empty space at Mandela Parkway and West Grand will be transformed into a creative community space filled with art and commerce. Art, food trucks, creative commons, and more. Humblebee Grocery Pop-Up Farmstand - Thursday, October 25, 4:30-7:30pm. Come for the last summer heirloom tomatoes and romanesco summer squash, with fall newcomers organic rome beauty and fuji apples and more! Hair Care Meet-Up - Sunday, October 28. Ms. Nyota Starr Koya will feature various aspects of The Natural Approach Professional Style Concept. Resources on how not to lose you hair to cancer treatments. What types of products to use before, during, and after, cancer treatments. There will be demos showing scarfs, wraps, and hat wearing tricks and treats. All this for "Breast Cancer" Awareness Month. At the northwest end of Jack London Square, past the ferry terminal, past the U.S.S. Potomac, past the fire and police boats is an unusual ship. It's bright red, has a tall mast, and has "RELIEF" painted on the side in large letters. And if you're like me, you've probably wondered what its story is. It's the lightship Relief, more formally known as Lightship WLV 605. Basically a portable, floating lighthouse, it was operated by the U.S. Coast Guard until more modern, unmanned devices took over in the 1970s. WLV 605 was commissioned in 1951 as the Overfalls and was stationed in Delaware until 1960. In the 1960s it moved to the west coast and was was stationed at Blunts Reef off the coast of Mendocino. 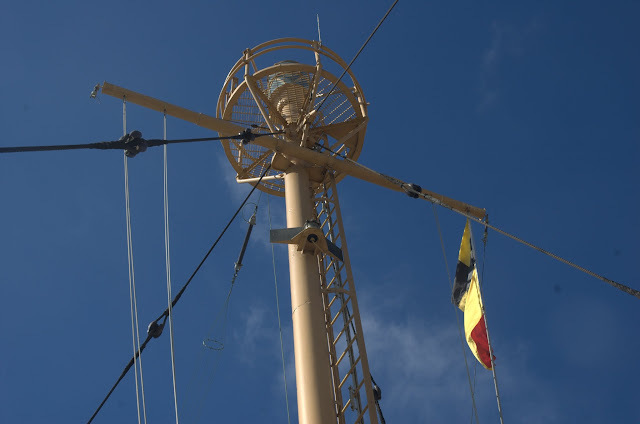 Finally, from 1969-1975, it served as a relief ship for when other lightships up and down the coast needed to leave their stations for maintenance. It sounds like hard duty, spending weeks at a time floating in the same spot, often enshrouded in fog, listening to the foghorn sound every 30 seconds. The captain had his own cabin, but the rest of the 12-18 man crew shared a not overly large bunk room. Besides a galley, kitchen and radio room, there was a hobby room for the crew to keep their minds busy when not on duty. Now the Relief is a floating museum operated by the U.S. Lighthouse Society, with tours available most Saturdays and Sundays. The tours are free, and take you all over the ship. For a nice virtual tour, check out the interactive panoramas from the Relief here. 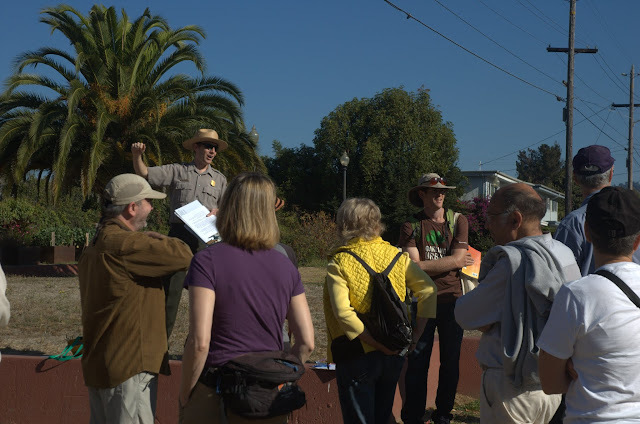 Earlier this month was a special Oakland Urban Paths walk put on in conjunction with the National Park Service. The tour featured the Juan Bautista de Anza trail, the route taken by some of the first European settlers in California. In 1775-1776, Lt. Colonel Anza of the Spanish army led more than 240 men, women and children 1,200 miles from what is now Mexico to Alta California here in the Bay Area. Prior expeditions had all been explorers, soldiers and priests, but these were some of the first families to settle. We started the tour at Peralta Hacienda, which was fitting because Luis Peralta came to California on that expedition as a teenager. The tour was led by NPS ranger Hale Sargent, who handed us cards representing the settlers. And with a call that would have been familiar to the settlers, "¡Vayan Subiendo! ", we were off. We crossed Peralta Creek and headed southeast to Courtland Creek. We followed the creek up to Fairfax, where we heard more about the Anza expedition. Then we were treated to the stunning mosaics at Maxwell Park, and heard about the project from Nancy Karigaca, who spearheaded the project. 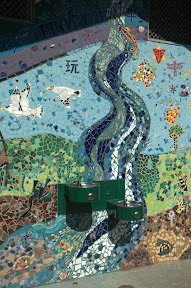 Read more about the mosaics at Oakland Local. Then it was up over the hill to Mills College. There we met up with local historian Dennis Evanosky, who told us about an earlier exploration by the Spanish. Captain Don Pedro Fages led six "bluecoat" soldiers and a muleteer. They camped at what is now Mills College, and were the first Europeans to see the entrance to the Golden Gate from contra costa, the opposite shore. We returned to our starting point via the Laurel (where the Laurel Book Store had hosted a talk by Hale and Dennis earlier in the week) and Allendale. It was a long walk, but all the people and dogs managed it. The day wasn't over yet, though. Peralta Hacienda graciously opened their doors earlier than usual, so people who were interested could get a tour there to learn more about the Peralta family and the current community surrounding the museum. Another great OUP walk, and special thanks to Hale, Dennis, the Peralta Hacienda, and the Laurel Book Store! 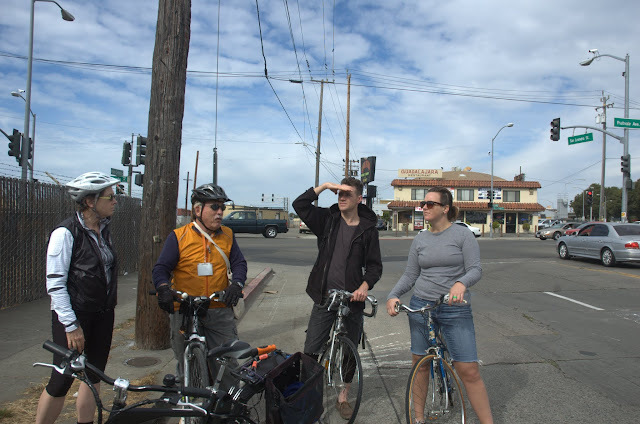 Sunday morning, the Oakland Museum of California (OMCA) led a bicycle tour of the Fruitvale district. There was a small group led by OMCA docent Peter Barnett, who's been leading bike tours for the museum for over a decade. We met outside the museum, where preparations were under way for the a Dia de los Muertos celebration that afternoon. We rode past the Kaiser Convention Center, which was used among other things as a temporary hospital during the 1918 flu pandemic. We crossed the channel to Lake Merritt and learned a bit about its history, then rode to Clinton Square park. There we heard about Milton Latham, who was governor of California for 5 days before resigning to become one of the U.S. Senators from California. That was precipitated by the previous senator, David Broderick, being killed in a duel with former state supreme court justice David Terry. Our meandering path took us along the estuary, past Numi Tea and Coast Guard Island. We headed up Fruitvale Avenue, around Fruitvale Station, and up 34th Avenue to Peralta Hacienda. After some history about the Peralta family, we heard about nearby Patten University. It was founded in 1944 by Dr. Bebe Patten as the Oakland Bible Institute. We also heard some of the more colorful history; her husband C. Thomas Patten went to trial in 1950 for defrauding their followers. During the 3 1/2-month trial, he had a heart attack, and the trial was finished in a hospital on Pill Hill. He served time in San Quentin and died in 1958. Dr. Patten moved the institution to its current location on Coolidge in 1961. Reminiscent of the 5 houses bike tour, from Peralta Hacienda we went to Cohen-Bray House. We rode back towards Jingletown to see the Cotton Mill Studios, and from there, back towards the museum. Although I knew a lot of the information from the tour, I did learn things, and I enjoyed getting to know part of Oakland a little bit better. Earlier today, the Student Conservation Association (SCA), Save the Bay, and the East Bay Regional Park District teamed up with students from Skyline High School and other volunteers to clean up part of the Oakland Estuary. The Skyline students were led by environmental sciences teacher Catherine Kuhn and art teacher Michael Raytis. They were joined by other community volunteers, including a group from the Tzu Chi Buddhist Foundation. Amongst the other volunteers was SCA alum Jeff Chen, who is one of the co-founders of Pickup America. Jeff and others recently finished a 3,000+ mile cross-country trip picking up garbage. A lot of garbage. Over 188,000 pounds of it. Today's cleanup was focused on the estuary near the Oakland Coliseum, where the East Creek Slough meets the estuary. (For reference, that's where Peralta Creek flows into the estuary, along with Courtland Creek and Seminary Creek.) The volunteers broke up into three groups. One group picked up trash along the shoreline; another removed invasive species like ice plants and fennel; the third group rolled out a barrier and mulched to help keep the invasive species from growing back. 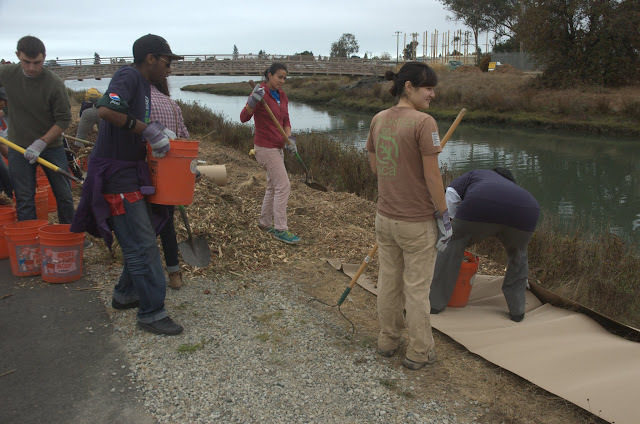 Thanks to all who turned out to help clean up the estuary and make Oakland better! An interesting and eclectic set of events coming up, including history, a shoreline cleanup, classic cars, a food treasure hunt, music and more! 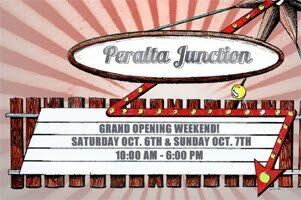 Anybody been to check out the Peralta Junction popup yet? Humblebee Grocery Pop-Up Farmstand - Thursday, October 18, 5-8pm. Come for heirloom tomatoes, cage-free pastured eggs, a new batch of Oakland honey from super-local hives, extra virgin olive oil from California groves, and more! Sunday was the first-ever Sunday Streets event in Berkeley. 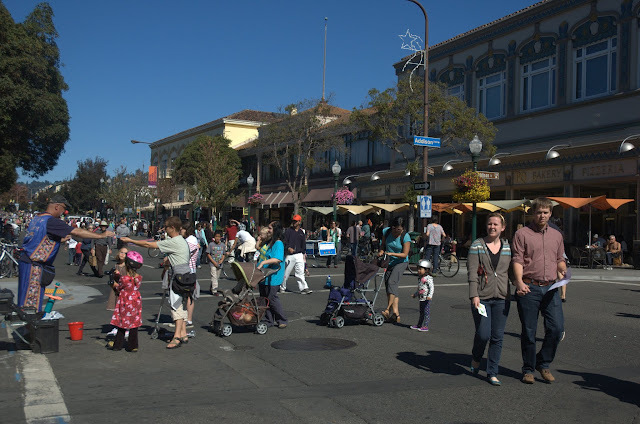 Similar to the Oaklavia event in Oakland a couple years ago, and modeled on Sunday Streets in San Francisco, it turned the streets over to the people. Over a mile of Shattuck Avenue was closed to cars, and made available for walking, biking, skating, scooting, dancing, music, cafe seating or just people watching. Unlike a more traditional street festival, this was less about shopping and more about doing. There was a bike safety course for kids, rock climbing, dodgeball, zumba, chalk art, and a wide variety of music. Local brick-and-mortar stores took advantage of the large crowds by offering cafe seating and street vending. It was tons of fun, and hopefully they'll be able to make it a regular event. And hopefully we'll be able to bring back Oaklavia! Thanks to Livable Berkeley for putting it together. Saturday evening there was a new event, the Autumn Lights Festival in the Gardens at Lake Merritt. Normally the gardens are only open during the day, but for the first time ever the gardens were specially decorated and lit for nighttime visitors. The event was put on as a benefit for the Friends of the Gardens at Lake Merritt, and the funds raised will be used to continue maintaining and improving the gardens. There was a wide variety of art using LEDs and other light sources, fire demonstrations, and projected images. 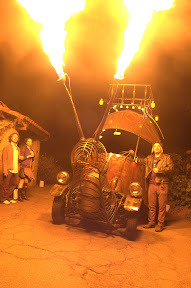 The most dramatic was the Snail Art Car, which you may have seen at other events around the Bay Area or at Burning Man. There were lots of quieter art installations, too, including carved pumpkins and gourds, tiki lamps, ceramic lanterns, and more. 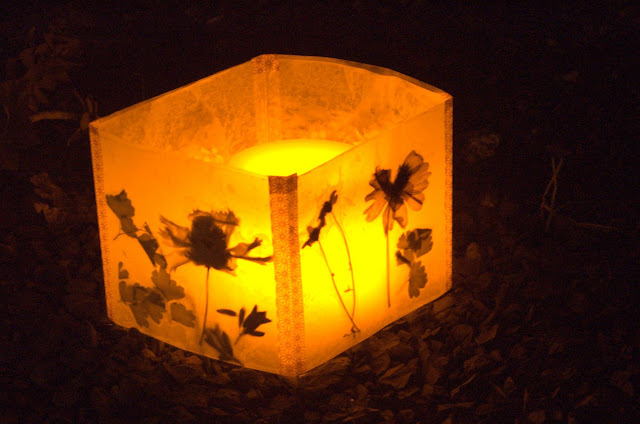 Luminary bags marked the pathways between the gardens, where visitors could take things in as never before. A variety of musicians played music to accompany the lights. 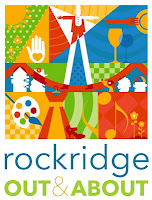 In addition to the art installations, there were plants for sale, food (via some food trucks) and beer & wine for purchase, and a silent auction with artwork and other items. All in all, it was a great event, and hopefully it introduced more people to the beauty available in the gardens at the heart of Oakland. Thanks to all the volunteers and city employees that put this together. I hope this becomes an annual event! This evening was the final Bites off Broadway for 2012. It's getting dark earlier, and with the end of Daylight Saving Time in a few weeks, it will be dark really early. There was a fair-sized crowd, including some young people from nearby Oakland Tech HS after their football game with Castlemont HS was over. Music was provided by a small but mighty choir from the East Bay Church for Religious Science. Thanks for a wonderful year of food and fun, and looking forward to the 2013 season! Iwas in the Laurel last week for the National Park Service talk at Laurel Book Store about the Anza Trail. I've posted the Laurel Lounge sign before, but it's cool to see lit up at night, too. And here's a a reminder about the Oakland Urban Paths walk on part of the Anza Trail on Saturday. It will be a 6 mile walk, leaves from Peralta Hacienda (yes, I've been there a lot lately), and is free! It's a great chance to explore some parts of Oakland you may not have seen. After almost 4 years and 600 posts, I decided it was time for a little redesign. A while back I got some business cards to hand out because I was telling so many people at different events about the blog, where pictures I was taking of the event would be, etc. that it was just a lot easier to have something to hand them. Those of you who have seen the cards will probably recognize the look of the new header. The logo harkens back to the first of what's now one of my favorite features, interesting Oakland signs. 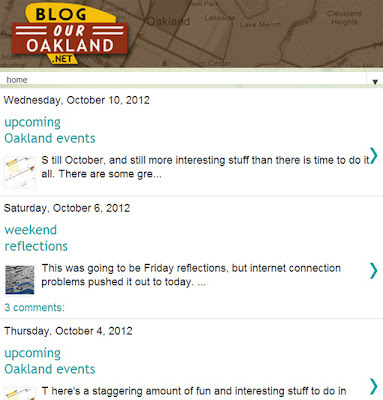 And the background of the new header represents one of my other favorites, Oakland maps. I'll also take the opportunity to point out some little-known features of Our Oakland. First, there are a number of special URLs you can enter with Our Oakland to get shortcuts to specific things: maps.ouroakland.net, signs.ouroakland.net, events.ouroakland.net, facesof.ouroakland.net and of course, 5houses.ouroakland.net. Another useful feature is that the Blogger code automatically checks if you're on a mobile device such as a smartphone, and gives you a specially-formatted version of the site that's easier to use on a smartphone. It gets rid of extra margins, automatically condenses posts on the home page, and allows various touch controls to navigate. So if you see something that doesn't look right or work quite right, please let me know. Include which web browser and OS you're using. Still October, and still more interesting stuff than there is time to do it all. 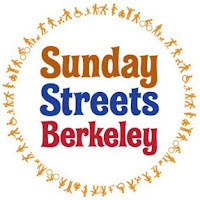 There are some great events at Children's Fairyland and Lakeside Park, a walk with Oakland Urban Paths in conjunction with the National Park Service, and even an event outside Oakland, Open Streets Berkeley. And of course, cheering on the A's!!! Humblebee Grocery Pop-Up Farmstand - Thursday, October 11, 5-8pm. Come for pastured eggs, mixed heirloom tomatoes, ripe strawberries, Bicycle Coffee, gluten-free muffins, and more! Peralta Junction - Popup in West Oakland - weekends through December 15. The empty space at Mandela Parkway and West Grand will be transformed into a creative community space filled with art and commerce. Art, food trucks, creative commons, and more. Read more about the food trucks in the East Bay Express. This was going to be Friday reflections, but internet connection problems pushed it out to today. Yesterday I dropped off my beloved e-bike in Berkeley, because after 3+ years and many hard miles of faithful service, it's showing its age. Whether it's repairable or I have to replace it, it's been a great investment for money, health and environment. With gas prices hitting record highs, we might be seeing more people riding them or regular bikes. After dropping off the bike, a trip on the #72 bus downtown and a short walk took me to my next destination, but I was early, so I walked around for a while. I've written before how you can see more while biking somewhere than driving. Walking may not get you places as quickly, but you see even more and get a different vantage point of things. I took the opportunity to spend some quiet time in the Kaiser Center Roof Garden. Usually I'm there for an event like the Oakland Indie Awards and it's full of happy people, but on a weekday morning, it was quiet, with just a handful of people enjoying the lovely spot. I meditated and prayed for a while, letting the sound of the fountains wash away stray noises from elsewhere. Then I explored a bit, since there are areas of the garden I haven't been in before. Speaking of seeing more, I don't think I'd ever noticed the plaque that marks the area as the "Former Site of the College of Holy Names 1868-1957". Or the map showing the location of various plants around the garden. Or the view of the cathedral towards the northeast. I headed over to Hawker Fare for my lunch meeting, a debrief of the 5 Historical Houses Bike Ride that I helped lead recently. Good food, good beer, and good company. We discussed ways to make the ride better in the future and other Oakland-based rides we might do in the future. After lunch, I walked over Grand Avenue, and after stopping for a call to check in on the e-bike, I meandered through Adams Point up to Oakland Avenue. After a brief wait, I hopped on a #11 bus, and was pleasantly surprised to run into @RebeccaForBART who was on her way home. After a nice chat with the driver (I was the last one off), I rode the bus as far as it would take me, almost but not quite to the edge of Montclair. From there I walked through the village, up the hill, and home. Part of the way was with a neighbor who clearly didn't walk up the hill very often, but walking once was a step in the right direction, so to speak. I saw a lot of different aspects of Oakland during my day, good and bad. I try to focus on the good ones, but I can't ignore the bad ones. Violent crime, littering & graffiti, a police department almost in receivership, a city council that's lost its way. Sometimes the city seems irreparably broken. But then I remember other cities that have or are turning themselves around, and how much so many people love this city, that I can't help but have hope for the future of Oakland. Change is needed, and change will come. We need to keep pushing for change, but also be patient because lasting change usually takes a while. Good words of advice: Keep Cool. Love Oakland. 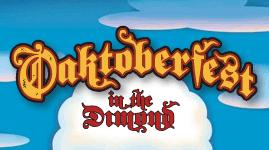 Today I'm off to enjoy this beautiful weekend, volunteer with Walk Oakland Bike Oakland, experience Oaktoberfest, and more. There's a staggering amount of fun and interesting stuff to do in Oakland this week. 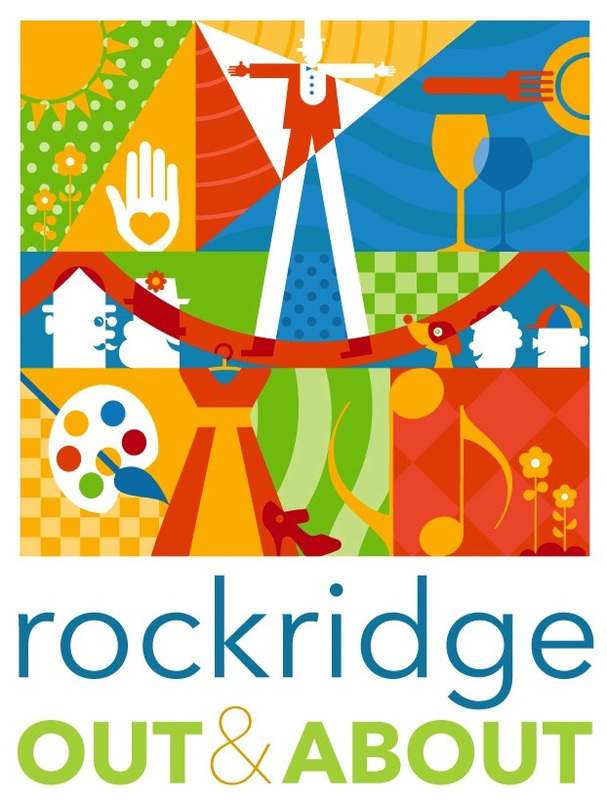 There's a First Friday Art Murmur, Bites off Broadway, the Black Cowboy Parade, Oaktoberfest in the Dimond, plant swaps and plant sales, Rockridge Out and About, walking tours, concerts, the opening event for the Peralta Junction popup, and more. Even a Gangnam-style Flashmob + Dishcrawl combo! There's so much stuff in the next 2 days, I'm publishing before I'm done and will update later events as soon as possible. Humblebee Grocery Pop-Up Farmstand - Thursday, Octonber 4, 5-8pm. Come for late season early girl and sungold tomatoes, opal basil, sticky-sweet melons, pastured eggs, Bicycle Coffee, gluten-free muffins, and more! Peralta Junction - Popup in West Oakland - kickoff event Friday, October 5, 7pm; weekends through December 15. The empty space at Mandela Parkway and West Grand will be transformed into a creative community space filled with art and commerce. Art, food trucks, creative commons, and more. Read more about the food trucks in the East Bay Express. Love Your Parks Day - October 6, 8:30am-noon. Oakland Parks Coalition is conducting its 7th annual all-city park survey Saturday, Join them at the Garden Center in Lakeside Park (666 Bellevue) and they will assign you to a team and train you before they send your team out to survey 3-6 Oakland Parks. "We love our parks and we want to know if they are getting the care they need so please help us find out!" Igot a last-minute email from a friend from Oakland Urban Paths, asking if I wanted to go to the A's game today. Which started a bit less than two hours later. I thought about it, because I have a lot of worked lined up, but I decided to play hooky. And boy, am I glad I did! The A's were down 5-1 early, but the way they've been playing, I wasn't even remotely worried. And sure enough, they came roaring back in the fourth inning to take a lead they never gave up. It's been a while since I've been to a live sporting event (beyond some college volleyball to watch our niece), and I'd forgotten what a rush it is to be part of a big crowd when their team is winning. The final was 12-5, and was hella fun to watch. There was a good turnout for the first-ever Five Historic Houses Bike Tour. Thirty cyclists, including two children as passengers, and one skateboarder met at the Peralta Hacienda Historic Park to begin the tour. Annalee Allen of the Oakland Tribune and the downtown Oakland walking tours was our history leader, and Russ Nelson of the Pardee Home helped me lead the cycling part. With a warm, sunny day, we couldn't have asked for better weather. As people arrived, some people took advantage of short tours inside the house museum before the ride started, while others explored the park grounds. Then we heard a bit about the history of Peralta Hacienda from executive director Holly Alonzo. While the Peralta House dates back to 1870, the family history in the area goes back much further. Seventeen year-old Luis Maria Peralta and his parents were members of Juan Bautista de Anza's 1775 expedition from New Spain to colonize Alta California. For "services rendered to the Crown of Spain" while serving in the military, Luis was given a land grant of almost 45,000 acres in 1820, stretching from present-day San Leandro to Albany, from the bay to the crest of the hills. Today the house offers regular tours, concerts, and special events, and is home to a community garden. From there, we made the short ride down to Cohen Bray House. It involved a difficult left turn off of Foothill onto Fruitvale, but we eventually all made it. Annalee Allen told us about the Cohens and the Brays, and read from Oakland Landmarks, the book that she and artist Heidi Wyckoff created. The house dates back to 1882, and was built by Julia Moses and Watson A. Bray, for their daughter, Emma, upon her marriage to Alfred H. Cohen, attorney, on February 28, 1884. It stayed in the hands of the family until 1993, when surviving members formed a non-profit to oversee the future of the house. Today the house offers tours by appointment, and is maintained by the non-profit's volunteers. enjoyed our refreshments, we heard about the house and the families who lived there. The house may have been built on spec by Samuel Merritt, whose own estate was nearby. The first family to live there were the Camrons, and later residents included Josiah Stanford, brother of Leland Stanford of university and "The Big Four" fame. More recently, the house was the city museum for Oakland until 1967. It was in danger of being torn down, but a dedicated group of citizens worked to preserve the house. It was listed on the National Register of Historic Places in 1972, and opened to the public in 1978. Today the house holds regular tours, concerts and other events, and is available for rental for events like weddings. A ride along 14th Street took us to the African American Museum and Library of Oakland, and nearby Preservation Park. Unfortunately they were set up for a wedding, and wouldn't let us go through the park, but Annalee told us about Preservation Park, which you can learn more about on one of the city walking tours. Instead of going through the park, we walked around the corner to the Pardee Home. Kay, a volunteer with the Pardee Home, greeted us with cookies and cold drinks. The home was built in the 1860s by Enoch Pardee, gold rush immigrant, and later mayor of Oakland. More famous was his son, George Pardee, who was governor of California in 1906 when San Francisco was ravaged by an earthquake. Later he helped wrest the Oakland waterfront from the Southern Pacific Railroad and founded the East Bay Municipal Utility District (EBMUD). Today, the home is open for regular tours, concerts, and other special events. Kay told us about high teas, which are available for groups of 4 to 12 people. My co-leader Russ told us about some of the special events, including ghost investigations and concerts. The final leg of our tour took us into West Oakland, to the de Fremery House. The James De Fremery family home was part of the Rancho San Antonio land grant. James De Fremery continuously landscaped the estate until his death in 1899. After De Fremery’s death, members of the family continued to live in the house until its sale to the City in 1910 when voters passed a bond issue to purchase the property. It is now the recreation center for one of the city's oldest parks. Sports legends Frank Robinson, Bill Russell and Curt Flood spent time there, as did modern dance legend Ruth Beckford, and many others. The Black Panther Party also used the park for community outreach programs, and rallies for jobs and against police brutality. The park was crowed when we were there, because a McClymonds High School reunion was going on. The park is frequently used for events; coming up next week is the annual Black Cowboy Parade which is a great event. From there, people could either head over to the 16th Street Train Station for the Centennial Celebration, down to Linden Street Brewery, or head home. A couple of us headed to Linden Street a few headed for home, but most people went to the 16th Street Station for a chance to tour the remarkable interior of the station. Thanks to all the folks from the houses who met us with drinks, snacks and history, and helped Annalee, Russ and I organize the tour. And thanks to the East Bay Bicycle Coalition for sponsoring the ride, and special thanks to Robert who brought up the back of the tour to help make sure no one got lost.